Book Review: In Albert Woodfox's 'Solitary,' Determination And Humanity Win Over Injustice Albert Woodfox's timely account of his wrongful conviction and time in solitary confinement shows that some spirits are unbreakable; it should be required reading in an age of Black Lives Matter. 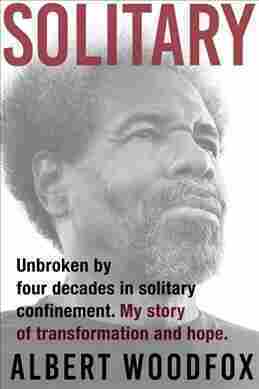 By the time Albert Woodfox was 24 years old, he had already spent five years in and out of four prisons. That was just the beginning. He would spend the next 40 years fighting a legal battle to clear his name of a murder he didn't commit. Throughout that process, he remained locked in solitary confinement, one of the longest stretches ever served by a prisoner. Those four decades didn't break him; they made him stronger. Solitary is a candid, heartbreaking, and infuriating chronicle of these years — as well as a personal narrative that shows how institutionalized racism festered at the core of our judicial system and in the country's prisons. Woodfox was born in New Orleans in 1947. He grew up poor, and petty crime became a way of survival at an early age. He was arrested often as a teenager, sometimes for petty crime and sometimes for being black, he recounts. In Angola prison in his early 20s, after being arrested for armed robbery and sentenced to serve 50 years, Woodfox joined the Black Panther Party. The Panthers Woodfox met "weren't intimidated" and fought for "equal education, equal opportunities, equal justice, equal treatment, and respect." That inspired him — and he decided to change and fight for the rights of minorities, while trying to improve conditions for prisoners. But he was forced to fight and additional battle. On April 17, 1972, a white guard named Brent Miller was killed. Woodfox and another member of the Panthers were accused of the crime and put in solitary confinement. There was no physical evidence against them and the trial was full of contradictions, ignored exculpatory evidence, and lying witnesses. Despite that, they were found guilty by an all-white jury and sentenced to life in solitary. It would take many lawyers, an international movement, multiple appeals, two unfair trials, and more than 40 years to get Woodfox out of prison. He was finally released in February 2016. "Cutting cane was so brutal that prisoners would pay somebody to break their hands, legs, or ankles, or they would cut themselves during cane season, to get out of doing it. There were old-timers at Angola who made good money breaking prisoners' bones so men could get out of work." While Solitary is a call to banish solitary confinement in the U.S., the first third of the book is also an important record of how underprivileged communities are almost forced into crime. Woodfox states: "When money was tight and there was no food in the house I shoplifted bread and canned goods. It never felt like a crime to me, it was survival." This is a short, clear explanation of how social demographics and a person's psycho-geography can dictate their relation to crime. Not all criminals are bad. Sometimes they are just trying to survive. "Will this be the day? Will this be the day I lose my sanity and discipline? Will I start screaming and never stop? Will I curl up into a ball and become a baby, which was an early sign of going insane? Every day I pushed insanity away. Every day I had to find that strength. I had to find within me the will and determination not to break. I got those qualities from my mom." Albert Woodfox went to prison as a criminal and then became a political prisoner. He was kept in solitary confinement by what proves to be through his account a racist, corrupt system. Solitary is a timely memoir of that experience that should be required reading in the age of the Black Lives Matter movement. It's also a story of conviction and humanity that shows some spirits are unbreakable.